B.D. Lenz is a guitarist extraordinaire based out of the NJ/NY area. His ensemble can summon the sophisticated sounds of Miles Davis, John Coltrane, Duke Ellington. B.D has played guitar since his early teens and has studied with such masters as Mike Stern, Vic Juris, and Charlie Banacos along the way.. Even if you've never heard of American jazz guitarist B.D. Lenz it's very possible you've heard his music before - it's been featured on hundreds of TV shows around the globe. He's released ten CDs of his unique brand of funky jazz that fuses virtuoso musicianship with expert songwriting. Joining B.D. will be James Rosocha (bass) and Joe Falcey (drums). Together, this trio will keep you surprised with their eclectic mix of jazz standards, original jams, and pop classics. Altman is a highly accomplished jazz musician, lauded by respected critic Don Heckman in the Los Angeles Times as "one of the few film composers with authentic jazz skills." In the jazz world he has performed with Chet Baker, Plas Johnson, Ernie Watts, Red Holloway, Conte Candoli, Slim Gaillard, Barbara Morrison, Herb Geller, Wild Bill Davison, Bud Freeman, Les McCann, Percy Heath and many others. He conducted the Stan Tracey Big Band and the Durham Cathedral Choir for an album of Duke Ellington's Sacred Music. 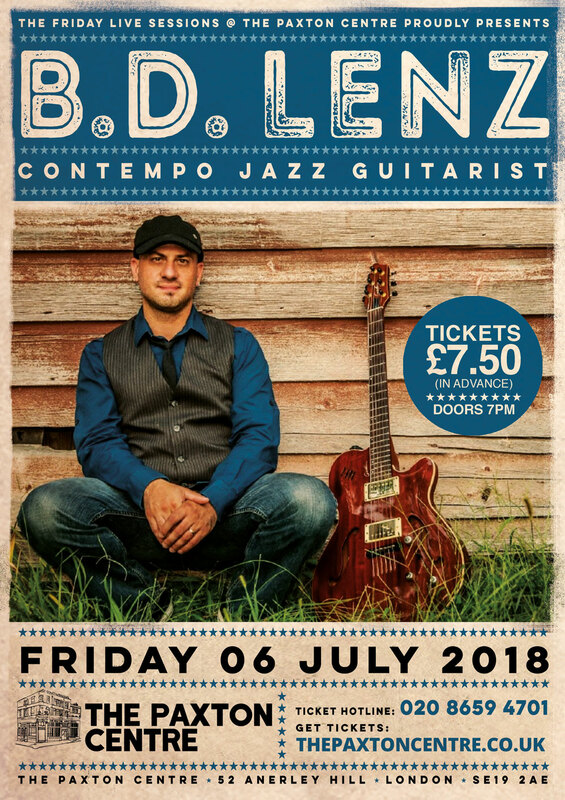 His jazz quartet CD You Started Something was released in January 2006 on the Bronze Jazz label, of which he is A&R Director, and was named 'Jazz CD Of The Month' in The Observer. His previous CD (featuring his orchestra with jazz singer Joan Viskant) also received this accolade. The John Altman Big Band frequently performs in the US and UK. Personnel includes Wayne Bergeron, Andy Martin, Pete Christlieb, Grant Geissman, Gary Foster, Warren Luening, Peter Erskine, Alex Acuna, and Tom Ranier. Altman performed at the Vladivostok Summer Festival, the San Jose winter jazz series, the LA Jazz Festival, the Hollywood and Highland Summer Jazz Series in Los Angeles and the London Jazz Festival both with the big band, which garnered a standing ovation and rave reviews, and the Caribbean Jazz Cruise. He is also a Patron of the National Jazz Archive and was honoured by the Archive in July 2010. He recently recorded the big band for an album released in the New Year of 2018. Altman also undertook a well received big band tour of Australia, and a quintet tour of California. His latest jazz project is a quartet, Pearls of Wisdom, with Police guitarist Andy Summers which debuted in 2014.